The different documentaries will allow you to have an impression about the life cycles of the butterflies. The full length videos are available on the page shop. 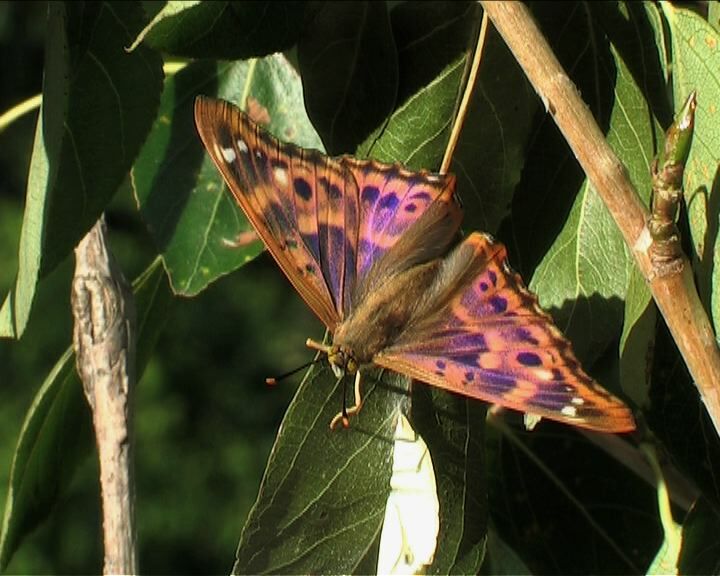 An extract of a documentary of the in the South of France is frequented by the more orange coloured type of Lesser Purple Emperor (Apatura ilia f. clytie Denis & Schiffermüller, 1775). The Lesser Purple Emperor males differ from the females by a stunning iridescent purple color on the upper side of their wings. During the first moult a pair of forked-horns appears, from under the exoskeletal head capsule, characteristic of this species. 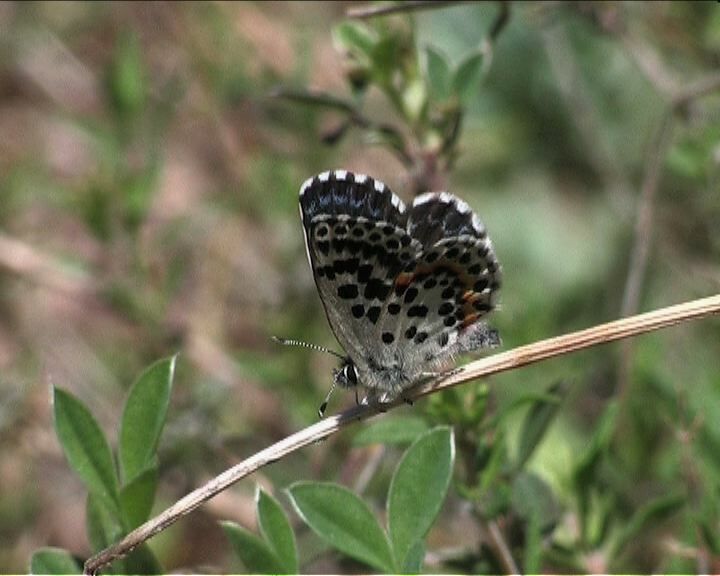 An extract of a documentary of the Chequered Blue (Scolitantides orion Pallas, 1771). The life-cycle of this very localized butterfly in this area has been filmed. The females seem to choose as host plants; Sedum telephium, Sedum anopetalum and Sedum album, growing not far from water courses on which to lay their eggs. The caterpillars are myrmecophile and have a Necomer’s gland and two erectile organs (tenticles). Specific interaction was recorded between Scolitantides orion and three species of ant from the Camponotus genus (C. lateralis, C. aethiops and C. vagus) and three species of ant from the Lasius genus (L. niger, L. emarginatus and L. fuliginosus). An extract of the documentary of the Spanish Festoon (Zerynthia rumina) in its dry habitat and the Southern Festoon (Zerynthia polyxena) in its wetland habitat. See their life-cycle from mating, egg-laying on their remarkable host-plants from the genus Aristolochia , the development of the caterpillars and hatching of the chrysalises of these beautiful butterflies. An inter-specific crossing was photographed in spring 2004. The previous year devastating forest fires have created corridors between dry and humid habitats that some females have explored, through the habitat of the other species. 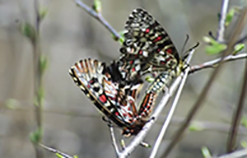 The life-cycle of this beautiful butterfly has been filmed and the influence of different parasites on influences regulating the population have been observed as well as the concurrence between different species of caterpillars living in the pods of the host plant. The interaction between caterpillars and ants has been studied. 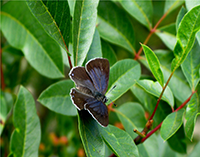 How does the Provencal Hairstreak (Tomares ballus) survives? 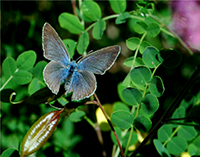 Discover the habitat in which this butterfly from the Var lives. 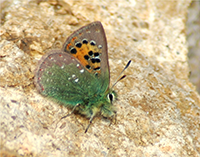 In France, it's in the Var that the majority of small populations of this furtive butterfly are known. 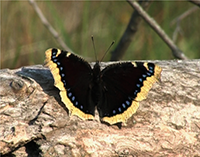 Although it's a pioneer butterfly, its vulnerable survival is related to very specific habitat conditions. The caterpillars are myrmicofile and have a close relation with ants. Discover the area in which this secret butterfly lives. New information about the ecology and biology of this butterfly (Spanish Hairstreak) have been filmed. It was found that the most important host plant wasn't the ash tree but in fact two species of Phillyrea (Fraxinus angustifolia ou F. excelsior). Once hatched the young caterpillars are surrounded by and cared for by ants (Lasius niger et Lasius cinereus) until hatching. This documentary shows the different parasitoids this big and well known butterfly has to confront, during the different stages of development of its life-cycle. 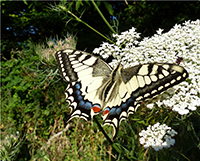 Discover the life-cycle of this magnificent and unapproachable butterflies. All the different stages of the cycle have been filmed, from the hatching of the egg up to the transformation into a chrysalis and finally the liberation of the butterfly itself in fabulous natural scenery.